It has been awhile. I would say I would get better, but that would be a lie! And while this blog does celebrate drunkenness and gluttony, I cannot support lies. I simply cannot. I am writing this post on Thursday and we are truly doing a throwback for this post. Many months ago my friend Megan brought back some strange candies from England for me to pair. Today’s candy item has been sitting on my table in my broken candy bowl for months if not a year? I have no idea when she gave it to me. Please keep in mind that this candy item had been on my living room table for a long time. When it was given to me, I completely understood what the candy was. But boy, memory is a funny thing. This is what happened. I looked at this bag of candy every single day. But do you ever find you can’t remember the color of your best friend’s eyes or can’t remember what ring goes where on your hands? What happened here is sort of like that. When I looked at them the first time, I knew they were lime. But over time, something happened. It can be best described like this: I stopped reading the package and only saw the green. Since I am me, I saw green and thought, mint. When I saw mint, I thought cookie. 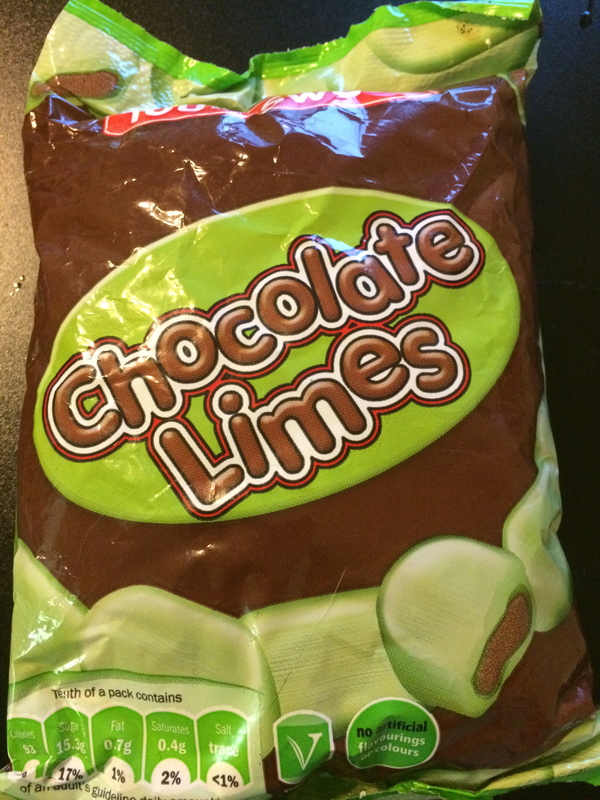 I knew they had chocolate but the whole mint vs lime thing was negotiable according to my brain. Why I thought cookie, I cannot understand. I had asked Megan for candies and my friend knows the difference between cookie and candy. I picked port because in the past I have paired mint and port with some success. I thought this would be a new opportunity to try out the pairing. I didn’t realize my error until I was literally taking photos of the candy bag. I need you to understand that this bag sat in the candy bowl alone for many, many weeks. I have no excuse. Something is just wrong with me. I didn’t admit to my boyfriend my mistake. I just went with it. I still haven’t admitted my error. If he reads this post, I guess he will find out and I will find out if he really reads this blog (hi honey, maybe?). The candy is strange. Obviously, it is lime and tart. The texture is what threw me because it is not quite a hard candy. It is almost a bit soft. The chocolate inside tastes like a tootsie roll but lacks the same texture. They are very weird. As weird candies go, this one is definitely up there in the weirdness level. This isn’t a very sophisticated port since it is affordable. Don’t go port shopping you guys because boy, you probably can’t afford them. Well, as could be predicted the lime tastes really weird with the port. It throws the port a bit on the way down and the aftertaste is not pleasing. The port is rich though so the flavor balances out. I didn’t find myself reaching for more candies which is an indicator of failure. What WOULD I paired if I wasn’t an idiot who can’t read? A chardonnay or a pinot. I have plenty of these little wrapped babies left. Maybe if I am organized enough, I will do a rematch. Posted in Port and tagged lime, port, TouteSweet, Weird Candy, Wine, wine pairing. Bookmark the permalink. It’s time for a rematch. As I mentioned in my last post, I’m going to take mint to task. This time I have a super weapon and it’s called wisdom. Specifically, I refer to the wisdom of those who came before me. 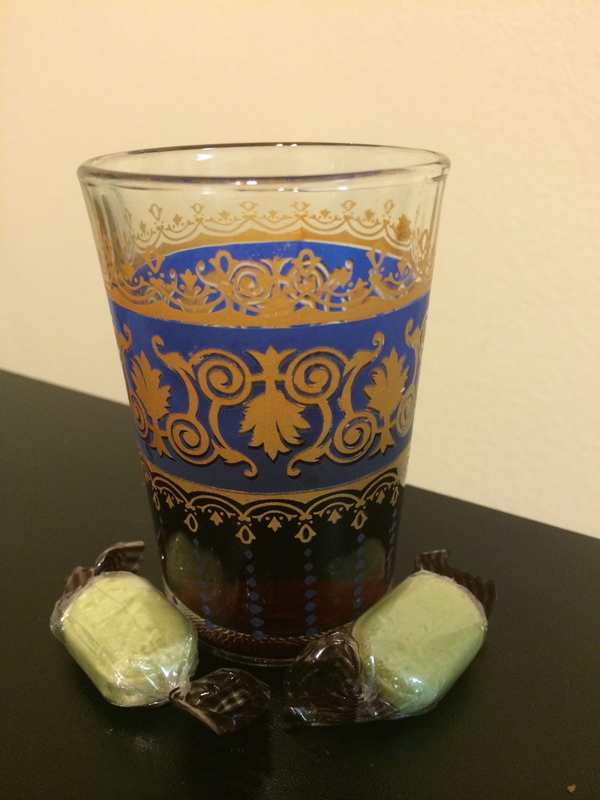 A much wiser pair-er than I successfully paired mint with wine–specifically port with thin mints–and I decided to give it a shot. Giving credit when credit is due is pretty much my mantra (it was also beaten over my head at college), so here is the post. It has a lot of tasty ideas for experiencing Girl Scout cookies with an adult beverage. The basic concept of the pairing is that the richness of the port can balance out the mint and chocolate. Mint and chocolate proves to be an extremely tricky combo to overcome, so I took this advice. Also, I never had port before (it turns out I am not a 45 year old man with an ascot) so it was a new experience. I’m not going to pretend that I had a “dream” for this pairing when I used the idea of someone else. But I thought this turned out pretty well. The port is 19% / volumen which is, well, pretty heavy duty. It is heavy and flavorful–there’s a lot to process in one sip. It’s sweet and goes down smooth. It lays very thick on your tongue, which ended up being a good thing. With the Andes mint, the port did well. It was able to wash away the lingering mint flavor while keeping the chocolate present. 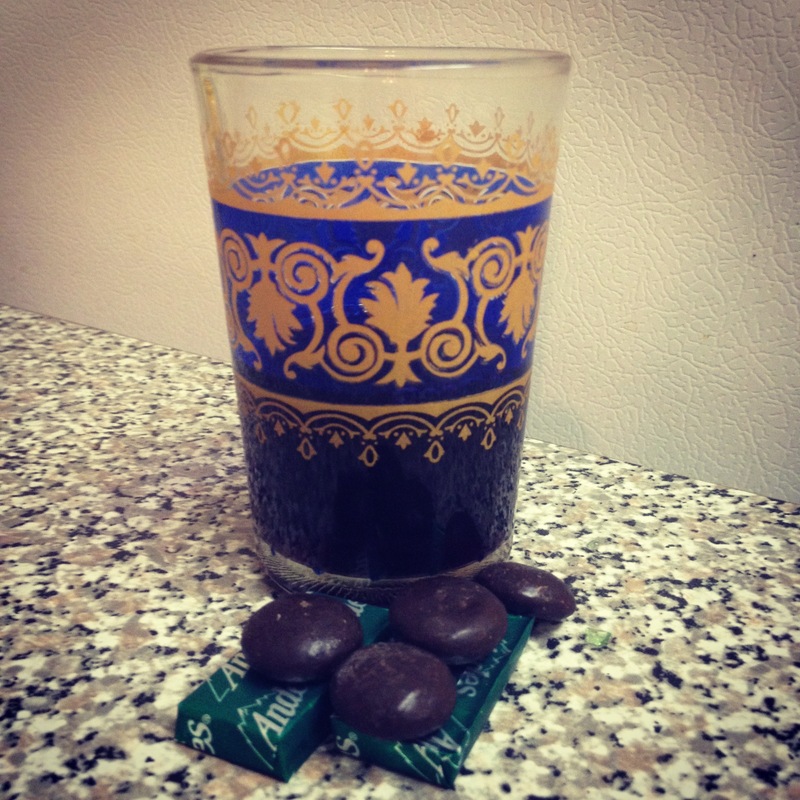 It accented the richness of the chocolate and kept the mint from overpowering the experience. 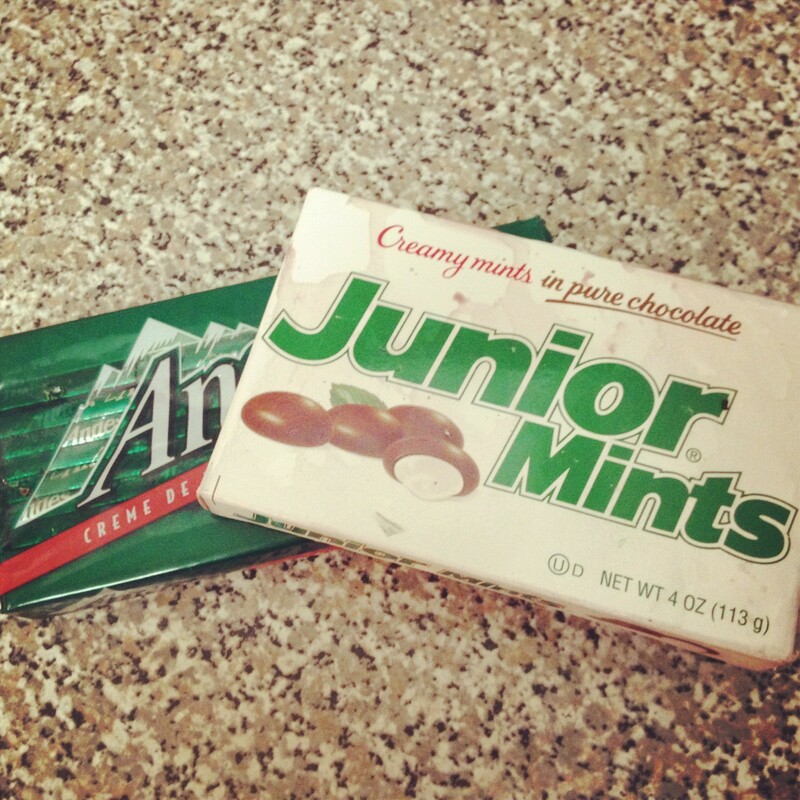 But Junior Mints have such a sizable minty middle, which is difficult to overpower. There is also so much of it. I never realized how much “mint” is in a Junior Mint. 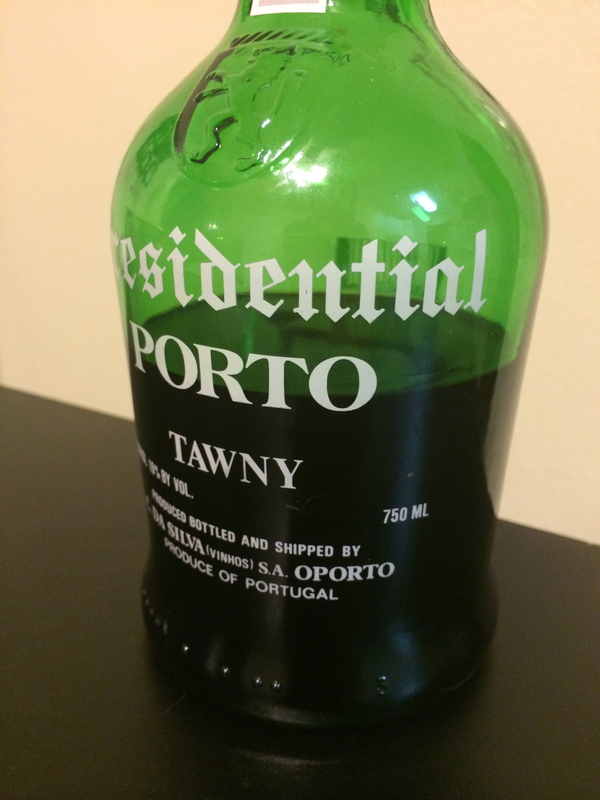 I recommend port, if you have not had it. And hey, it’s an after dinner drink for an after dinner mint! I would say that was pretty inspired, if I didn’t steal the idea for this pairing from someone else. I’m going to try to update this blog with more wine news that I stumble across. Send me some things if you are so inclined, otherwise, stay thirsty my friends. Posted in Port and tagged andes mint, junior minta, Mint, port, wine pairing. Bookmark the permalink.